Courtesy of David H Wenthe, Coldwell Banker Residential Brokerage. Special nature lovers all natural wildlife habitat visited by deer, turkeys, woodpeckers, frogs & more. Walk to Yellow Breaches. This spacious ranch home features outstanding kitchen with big angled island, lots of beautiful cabinets, storage space & corner desk for the family chef. Enjoy entertaining or just relaxing inside this home or on your private elevated deck. All BRs have walk-in closets, W/D main level, full walkout basement, fenced yard. One year AHS Home Warranty with acceptable offer. Please, send me more information on this property: MLS# 1000804703 – $196,000 – 1111 Highland Drive, Mechanicsburg, PA 17055. 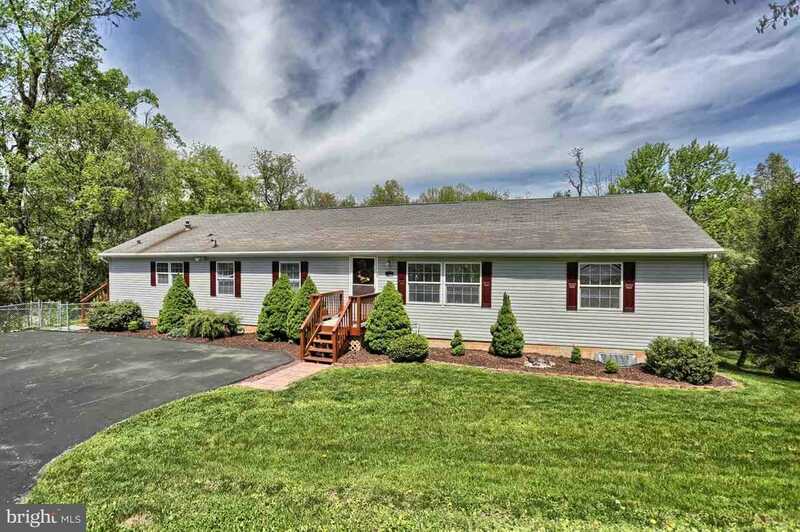 I would like to schedule a private showing for this property: MLS# 1000804703 – $196,000 – 1111 Highland Drive, Mechanicsburg, PA 17055.